If you told me I’d be writing this article five years ago I would have laughed. Even though nowadays everyone and their grandma seems to be on Facebook, this method of marketing is brand new, considering this industry has been around for almost a century. When I started in the industry just seven years ago, many companies actually had policies against sharing on social media for network marketing opportunities, because there were so many unknowns. Today, distributors are not only allowed, but encouraged to use social media for network marketing. In fact, my company Jeunesse has actually built an exclusive social media tool called J Social, which allows us to easily post videos and free sample links on the social media sites. Years ago, when my good friend Anne suggested I get on Facebook, I thought, “Oh brother, one more inbox.” I went into it kicking and screaming, yet it didn’t take long to realize social media for network marketing is a great way to find leads, build my opt-in list, support my team, build community, and attract more people to our team. Now I think social media is one of the most amazing tools we have for our business. It’s not called social media by accident. Just like meeting people at work, networking meetings, dinner parties, and your kids’ gymnastic meets, social media for network marketing is about connecting with other people. Check out people’s profiles and see what pages they like, so you can find a common interest as a starting point for conversation. Comment on and “like” other people’s posts. Have fun engaging in the conversation back and forth. Be a good listener. Ask questions. If you are doing all the talking, then you are missing out. 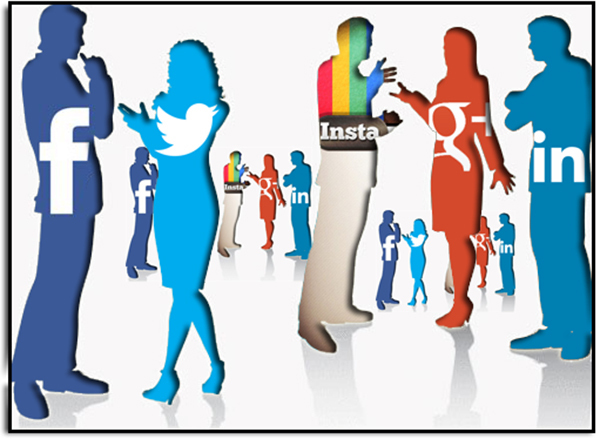 Joining groups is also a great way to utilize social media for network marketing. You can find groups for just about any topic in Facebook, LinkedIn, and Twitter and develop relationships with others who share your common interest. Again, just think of social media for network marketing like you think of socializing in “real” life. Open up about yourself on a personal level and share what is important to you. It’s the same on the social media sites as it is in person – If all you do is talk about your product and opportunity, people disengage. I’ve noticed that whenever I share something personal, like an anniversary dinner, photos from my vacation, or even an ‘aha’ moment I had while taking a walk in my neighborhood, those are the status updates that generate the most conversation. If you don’t share from an authentic place – your opinions, insights, what you like and don’t like – your audience won’t see “you.” Don’t try to be something for everyone. The more YOU that comes out, the more you will draw the perfect people for you. The old saying “Stories sell, facts tell” is so true! Great ways to get personal are sharing stories, inspiring quotes, open-ended questions, and definitely photos! This is perhaps the most important tip if you want to use social media for network marketing success. Invest enough time to be successful and, more than that, be consistent. The more you stay in people’s awareness, the more successful you’ll be at using social media for network marketing. I have set a personal goal to spend an hour a day connecting, prospecting, and having conversations on the social media sites because it is such a great tool. Remember the 80/20 rule. 80% of your focus should be about providing value and, IF you do that, then you can present your opportunity or offer 20% of the time. You want to position yourself as an authority – as an expert and someone that regularly provides value! Social media for network marketing is not an overnight success strategy. Sometimes you get quick returns, yet other times you may have a friend or fan who, out of the blue one day, says, “I’ve been following you for a year.” Next thing you know you have a new team building in Australia. Social media for network marketing is amazing for leveraging your reach, yet it does not replace picking up the phone and calling your warm market. Think of social media as an in-addition-to tool. I have reconnected with old friends and colleagues on Facebook, and it was a great way to re-establish our relationship. The next step, then, is to take it offline. Send a personal message or pick up the phone and suggest a coffee date or phone call. Social media is also a wonderful tool for turning a cold lead into a warm lead. That’s where the steps above come into play. As you meet new people by joining conversations on the social media sites, you begin to actually get to know folks, and so the invitation to connect offline becomes a natural next step. By the way, when using social media for network marketing, don’t rush to share your opportunity. Be a great listener and ask a lot of questions. You should have at least three conversations back and forth before you present your business or products (unless, of course, they ask you to share). Social Media for Network Marketing Tip #5 – BONUS TIP! If you are serious about building your brand through social media, then invest in a great quality photo of yourself. It is a great investment! Share your comments below – How have you used social media for network marketing?